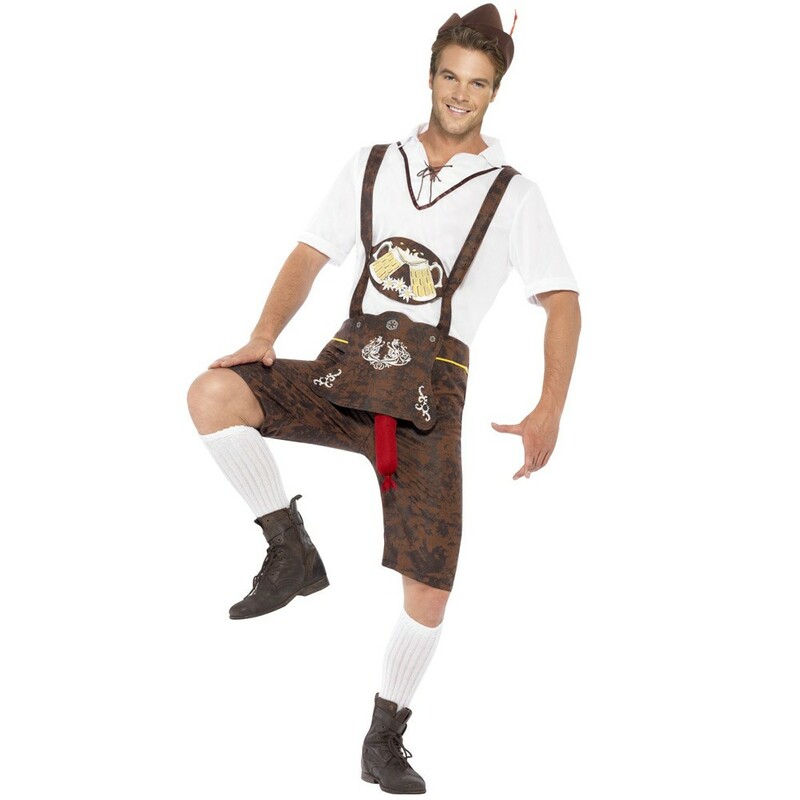 A Brad Wurst Costume including a Lederhosen Shorts, Shirt, and Hat – Ideal for Oktoberfest, Stag Dos or any fancy dress occasion! Transform yourself with this fantastic Brad Wurst Costume, ready for Oktoberfest! 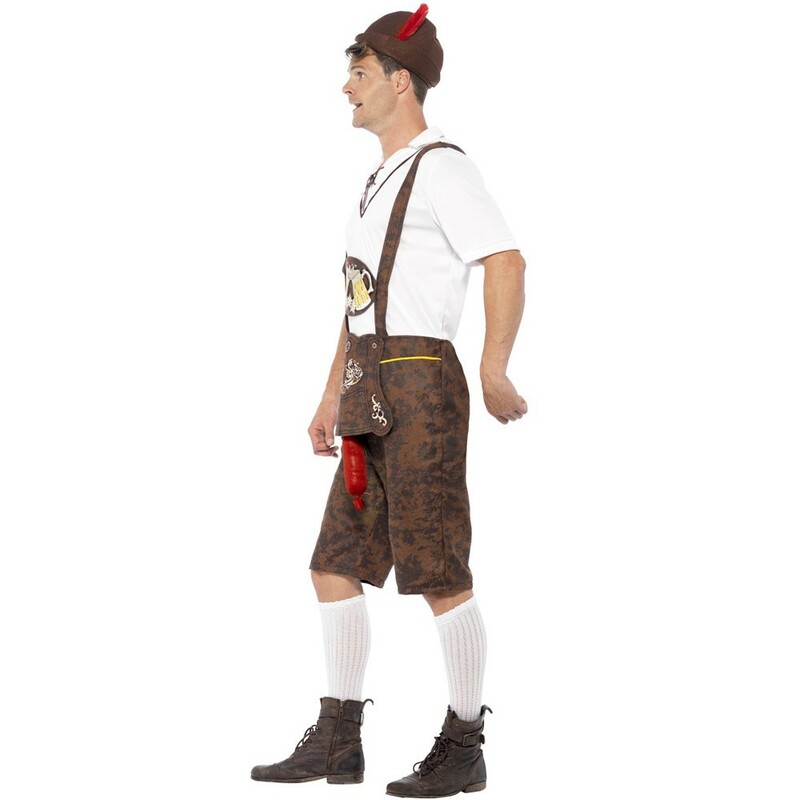 The Brad Wurst Costume includes a Lederhosen Shorts, Shirt, and Hat. 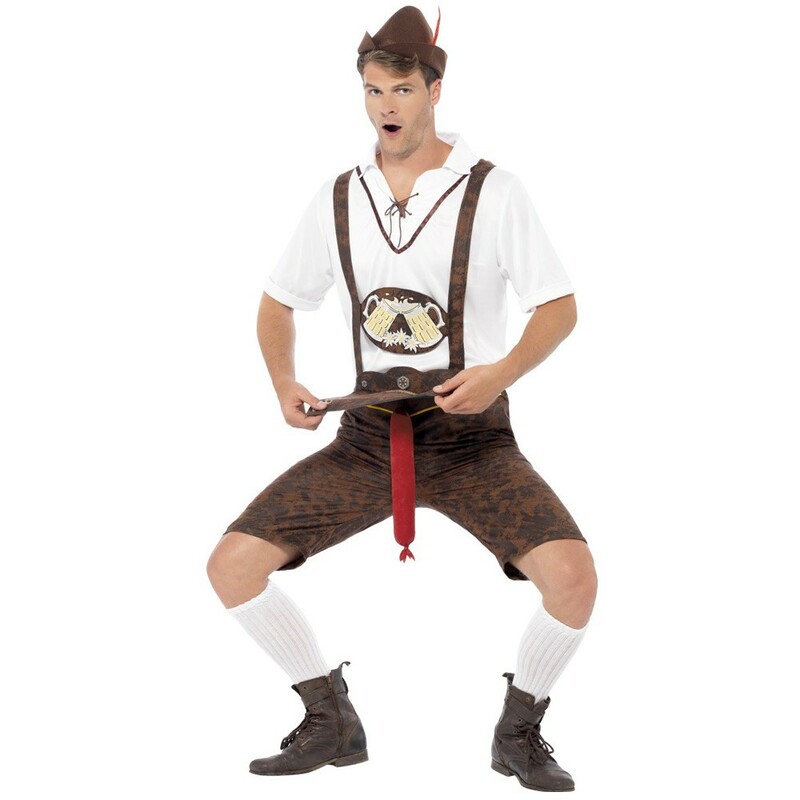 The brown lederhosen style shorts, feature a traditional design, with an attached comedy bratwurst to bring the fun! Combined with the white Shirt with a lace up neckline, this Brad Wurst Costume will be sure to impress! The Brad Wurst Costume also includes a matching Hat to complete this awesome fancy dress look! 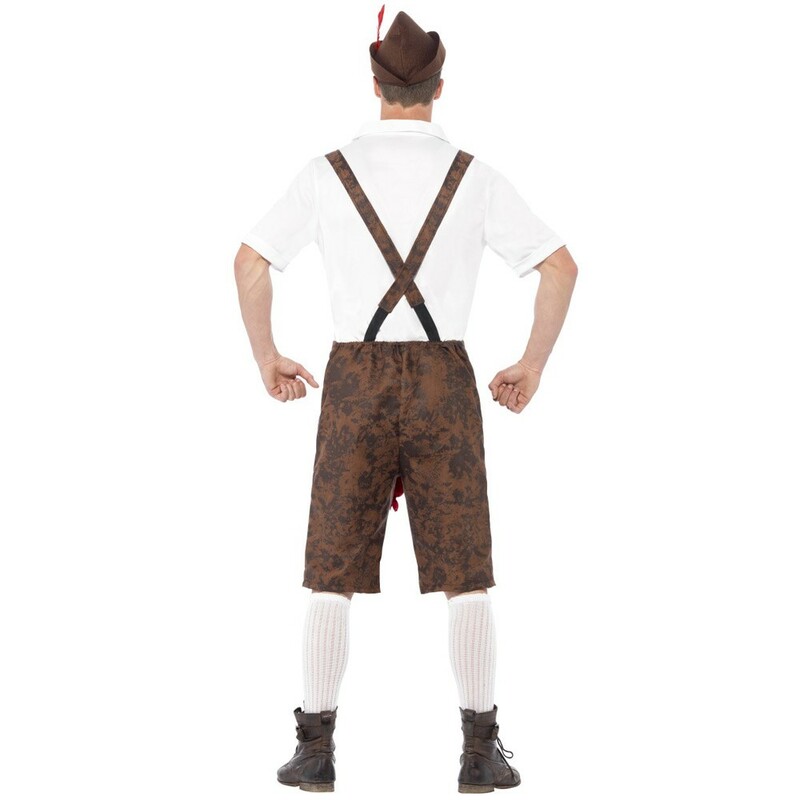 Perfect for Oktoberfest, a Comedy theme, a Stag do, or any fancy dress occasion, you’ll be sure to stand out from the crowds! Have a laugh this Oktoberfest with the hilarious Brad Wurst Costume! A Brad Wurst Costume including a pair of Lederhosen Shorts, Shirt, and Hat.